The MA961 Guardian is a next generation combination antenna. The first panel antenna worldwide designed for IoT Gateway and Router devices. It is a low profile 4in1 wall and adhesive mount antenna. 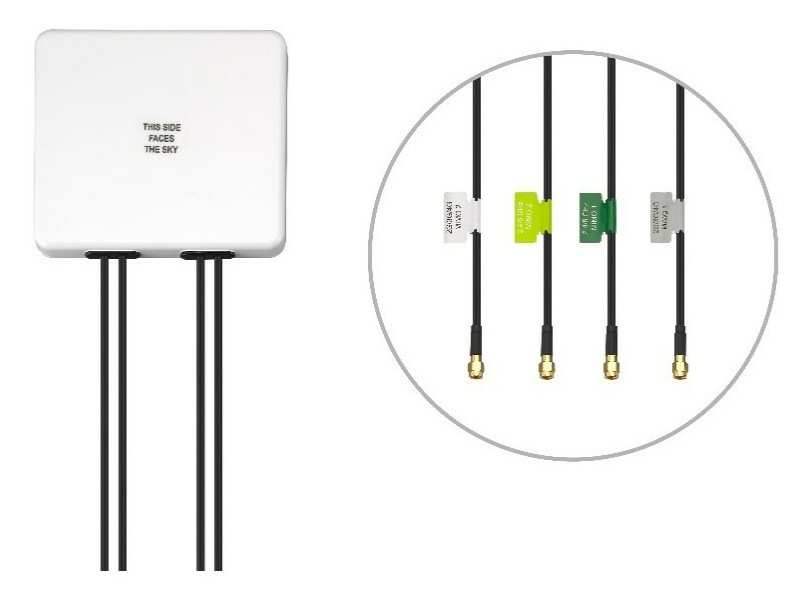 This unique product delivers powerful worldwide 4G LTE MIMO antenna technology at 700MHz/800MHz/1700MHz/ 1800MHz/2600MHz/3500MHz and dual band Wi-Fi. It is a heavy-duty, fully IP67 waterproof external M2M antenna for use by RF professionals in IoT Gateway and Routers, HD Video Streaming, Transportation and Remote Monitoring Applications. 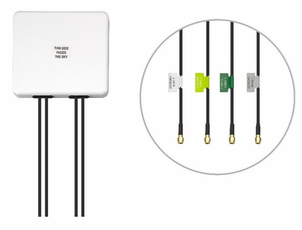 This antenna delivers powerful MIMO antenna technology for worldwide 4G LTE bands at 698-960MHz / 1710-2170MHz / 2490-2690MHz / 3300-3600MHz bands and dual 2.4/5.8GHz Wi-Fi. It enables designers to cover a wide range of technologies by installing a single antenna.